Home Affairs minister Obert Mpofu yesterday opened up for the first time on the source of his wealth, claiming he earned all that he has through hard work. Mpofu has been rumoured to be among the richest in Zimbabwe, if not the sub-region, with much of his wealth concentrated in real estate. In fact, it has been said before, and not denied until yesterday, that Mpofu owns half the commercial properties in the resort town of Victoria Falls. Critics accuse him of accumulating his wealth when he joined former president Robert Mugabe’s regime, under whose reign Zimbabwe scaled up the corruption ladder from position 43 in 1998 to 157 last year, out of the 176 countries surveyed by Transparency International. The spotlight has particularly fallen on his days at the Mines and Mining Development ministry — between February 2009 and September 2013 — when he presided over the controversial Marange diamond fields in Manicaland. Mugabe claimed on the eve of his 92nd birthday in February 2016 that $15 billion was lost in diamond revenue through sweetheart deals involving syndicates. It is for this and other reasons that Parliament has now taken it upon itself to crack the jigsaw puzzle, and recently summoned Mpofu to explain himself. When he appeared before the parliamentary portfolio committee on Mines and Energy last month, Mpofu refused to respond to some of the questions, and now faces possible contempt of Parliament charges. Yesterday, Mpofu opened up to the Daily News, saying he has never taken a bribe in his life and was in fact, a hard worker who is as clean as a whistle. Despite claims that he earned his wealth through corrupt dealings and vulture capitalism, the Home Affairs minister said the most expensive asset he has is the famous seven-storey York House building in Bulawayo. “I have worked hard with my family to be where I am and I do not owe anybody anything and I appeal to anybody who thinks he gave me or bribed me to come forward and tell the public about it as I have never, in my whole life, received anything from anybody as an inducement for I do not need anything from anybody,” Mpofu told the Daily News. The Zanu PF secretary for administration spoke as a report contained in the third investigation by Partnership Africa Canada into illicit activity in Zimbabwe’s diamond sector said Mpofu built much of his wealth through “vulture capitalism” — a money for nothing appropriation of profitable businesses and or assets that are later “legitimised” through normal business activity. The report accused Mpofu, who grew up in rural Jambezi, from a family of limited means and now has financial and political prestige, of going on a real estate buying spree, in Bulawayo and Victoria Falls, since the Marange diamond rush. Mpofu rubbished the claims that he dominates the real estate sector in Victoria Falls saying he owns no property in the resort town, challenging anyone with documents proving ownership of these properties to come forward. “I am aware of the nonsense that has been peddled by political and social opponents who feel challenged by my successes. I am proud of what I have and no one will take away what I have sweated for because I have worked for everything I have,” Mpofu said yesterday. “The most expensive asset I have is the famous seven-storey York House building which the family bought from Old Mutual in 1998. The Victoria Falls nonsense that I own the whole or most of it is as stupid as the idiots who are peddling it. Can they list those assets so that I can take ownership of them if they ever exist,” he said. Government this week released a list of companies and individuals who externalised funds and did not heed President Emmerson Mnangagwa’s call to return the funds. Mpofu who in 2000, was appointed governor of Matabeleland, and five years later minister of Industry and International Trade — during the hyperinflationary period of empty shops — said it was not by coincidence that his name was not among those listed to have externalised millions of dollars from the economy. “I and my family nor my business have never (sic) maintained a foreign account or acquired any immovable asset outside the country. Please go through the list of the looters and you will never see anything associated with me or my family in it to the great disappointment of prophets of doom,” he said. Mpofu is not considered a heavyweight in terms of his liberation war credentials. But hate him or like him, one cannot take-away his survival instincts. His switch from Zapu to Zanu around mid 1980s endeared himself with Mugabe’s ruling Zanu PF party, declaring himself the despot’s “most obedient son”. And when Mugabe’s rule was challenged by the military, he emerged as one of Emmerson Mnangagwa’s staunchest backers, earning the post of secretary for administration. He is reported to have an interest in Trebo & Khays, the vehicle he used to acquire the then Zimbabwe Allied Banking Group (ZABG), which became Allied Bank, before it twisted in the wind. Other companies that have been linked to him include Maminza Transport, Khanondo Safari and Tours, Khanondo Car Hire, Horseshow Estate, KoMpofu La Sports Bar, Luna Rainbow Tours, Guest Paradise Lodge, Good Memories Lodge, Mswelangubo Farm, New Miners Restaurant (Hwange), Accut and Crews Village, Moya Security, Matetsi Meat Butchery and the Zimbabwe Mail, which has since exited the newspaper market. His acquisition of ZABG was talk of the town, but when it was forced to hand over its licence to the Reserve Bank of Zimbabwe (RBZ) after it faced several constraints ranging from liquidity challenges and failure to meet minimum capital requirements, many began to question his business acumen. Turning to ZABG Bank, Mpofu said he did not pay cash for the asset, insisting it was a property-based deal. He said: “I bought the ZABG Bank from government where it is alleged I paid $22 million for it. Again, this was a property-based transaction and please ask the Reserve Bank if I paid them a cent for it”. Earlier this month, businessman Lovemore Kurotwi told a parliamentary committee on Mines that Mpofu demanded a $10 million bribe from him to give his company a licence to mine in Chiadzwa in 2009. This came as Kurotwi’s company, Core Mining and Minerals, had won the tender during Amos Midzi’s tenure as minister to mine in Chiadzwa under Canadile, a joint venture with the State-controlled Zimbabwe Mining Development Corporation. “(Core Mining director) Yehuda Litcht used to complain to me that the minister (Mpofu) is asking for money. He did that I think three times asking for money from Yehuda, until Yehuda did not know what to tell the minister. He was asking money for getting the permission to mine in Chiadzwa. That was the money to bribe for permission to get the licence,” said Kurotwi. Mpofu later appeared before the same committee and clashed with Mines and Energy committee chairperson Temba Mliswa over the country’s missing $15 billion revenue from the gem-rich Chiadzwa diamonds fields. The burly Zanu PF secretary for administration later vowed never to appear before the committee to answer any questions relating to the missing funds as long as Mliswa was presiding over the emotive issue — also suggesting that he had something damaging on the garrulous Norton legislator. Analysts yesterday ratcheted up pressure on Home Affairs minister Obert Mpofu, saying he should give a detailed account of how he acquired his wealth. Harare-based lawyer and MDC official Obert Gutu said more often than not, perception can easily become reality, implying Mpofu must do much more to remove perceptions that he might have bent the rules to acquire his riches. Without suggesting by any stretch of the imagination that Mpofu is corrupt, Gutu said out there, people generally think that he is villainous. “Whether or not he is corrupt is neither here nor there. It is a fact that Mpofu is fabulously wealthy. “He, in fact, openly admits that he’s stinking rich. How he acquired his wealth is a matter of conjecture. “What he can do for now is to publicly avail a detailed schedule of his properties and explain precisely how he acquired each and every one of his several assets,” said Gutu. 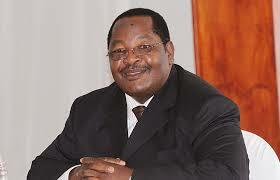 “In the court of public opinion, unfortunately, Mpofu is perceived to be a corrupt politician. The ball is now firmly in his court to publicly prove that his wealth was acquired through honest, hard work and not through sleaze and graft,” he added. Crisis Coalition told the Daily News yesterday that there was a problem in the country, especially when public officials flaunt their wealth and duck the responsibility and transparency test. Tabani Moyo, spokesperson of Crisis Coalition, said if the new government of President Emmerson Mnangagwa wants the world to think for a second that it’s a “new” administration, it has to ensure that it spells out a mechanism of public officials declaring their assets and account as to how they acquired them for them to be entrusted with public resources. “The case at hand is that of entitlement, where the public officials are larger that the State and protected from answering to the allegations of corruption,” opined Moyo. “It is therefore a cause of concern that the government has the courage to publish a list of alleged looters when its backyard is decorated with such filthy lucre”. Crisis Coalition is a conglomeration of more than 350 civil organisations in Zimbabwe working on human rights issues, democratic governance, political freedom, women’s rights, electoral reform, and constitutional reform. Political analyst Vivid Gwede said no one in this country stops people from being rich, but what people were asking were fair questions about the origins of some government officials’ vast wealth, Mpofu included. He said that Mpofu was recently called to Parliament to answer questions about Zimbabwe’s most precious resource in terms of diamond revenue and showed arrogance raised people’s eyebrows even higher. squandered it. Such behaviour makes people speculate about his own involvement in shoddy dealings, which resulted in losses of diamond revenue,” said Gwede. “In other civilised nations, that is not a joking matter because we are talking about massive prejudice to the country. It could get someone a nice stay in prison, which is why it is in his own interest to clear himself at the earliest opportunity, but instead, the whole nation has to wait for him,” said Gwede. He added that if Mnangagwa finds that his government is fast losing sympathy, these unresolved issues were some of the reasons. “People are fed up!” he remarked. Political analyst Maxwell Saungweme said one would be curious to know what line of business Mpofu does which made him so affluent in a short time in government, out from a humble background a few years back. “It could be just fluke that he joined government an unassuming bloke, then started to be so conspicuously opulent and sumptuous while at helm of the Mines ministry. It also could be mere quirk that the alleged $15 billion diamond revenue supposedly ebbed when he was minister of Mines, yet at the same time he was doing very well in his own private business,” said Saungweme. “It could also be interesting to learn how he and other ministers did very well during the time our economy was sinking and government could barely pay civil servants. These could be mere coincidences, I guess,” said Saungweme.